We’re always on the lookout for tools for electricians and contractors that make your job easier. It’s easy to stick with what you know, but there are some great tools coming out that will help you get the job done quicker and easier. We’re a big fan of Klein Tools, which has been a reliable manufacturer for almost 160 years! They have a great selection and have come out with a few new products that we think are worth highlighting. Here are some of our favourites. All of these products can be ordered through BJ Electric, so get in touch to add any of these to your next order! This brand new wrench is perfect for remodelling work. It takes the frustration out of trying to work in hard-to-reach cut-in boxes where traditional tools don’t work. It fits ½” and ¾” connectors, with direct-drive heads that rotate each other when twisted. But don’t take our word for it. See for yourself in the video below! These new digital clamp and multimeters are replacing our existing Klein meters. All the new meters have bright backlit displays, molded-in test lead holders, and drop-resistant, easy-to-hold housing. The Tough Meter multimeter (MM700) is one of our favourites for residential, business, and light-industrial use. 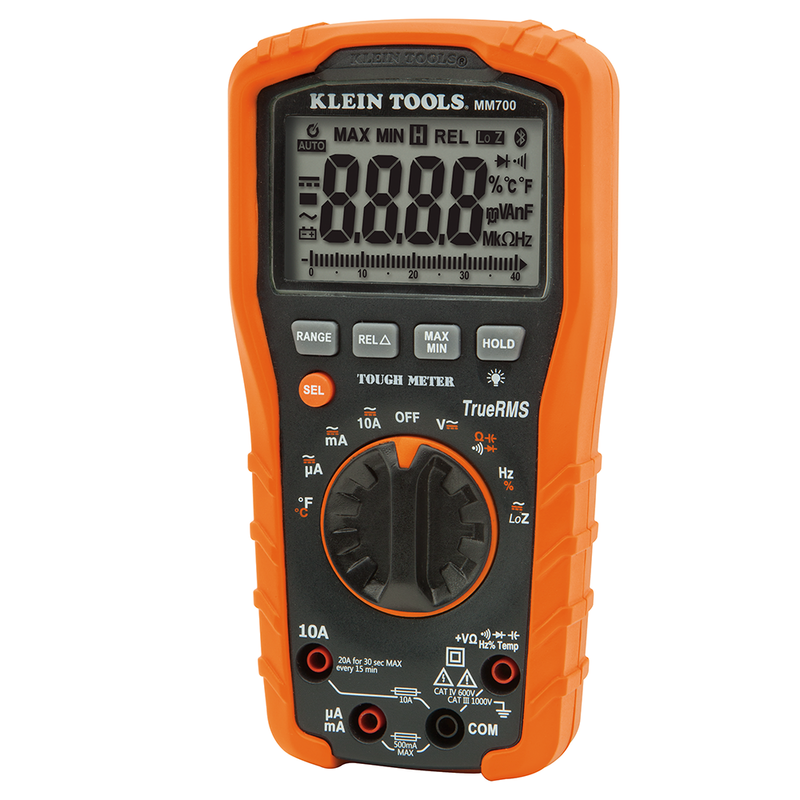 It’s an auto-ranging TRMS digital multimeter that accurately measures AC/DC voltage, AC/DC current, resistance, temperature (-18C-816C), capacitance (4000µF), frequency, and duty cycle. It has a low impedance (LoZ) mode for identifying and eliminating ghost or stray voltages, and has a CAT IV 600V safety rating. These new heavy-duty steel hole saws are the longest lasting, fastest cutting blade on the market. Optimized to cut steel, these hole saws can be used on stainless steel, mild steel, drywall, ceiling tile, laminate, wood, and plastic, with multiple leverage points for easy removal of material. See them in action below! Klein also has new double-fluted step bits and wood boring bits, with new design features that will make holemaking a breeze. Take a look here. 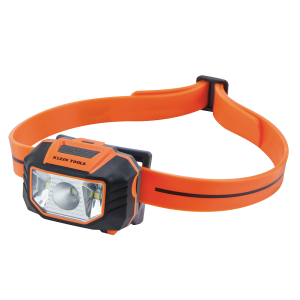 Klein’s new illumination line provides bright and durable tools that offer impact and water resistant lighting with comfortable grips. We recommend their headlamp, which has an anti-slip silicone strap, a 45-degree tilt, a spotlight and floodlight mode, a strap that’s pre-adjusted to fit a hardhat, as well as 6-foot drop protection. Check out the other products, including a clip light, penlight, and slide focus flashlight in their illumination line here. There are plenty of new tools on the market today, so if you’re looking for something to make your job easier, we can help find what you need. Get in touch with one of our knowledgeable sales reps and they’ll be able to recommend products tailored to your needs.